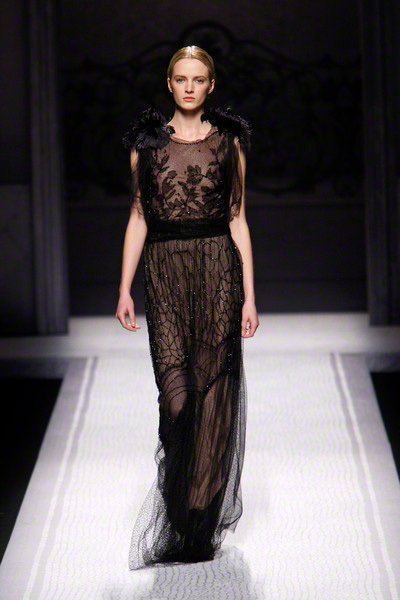 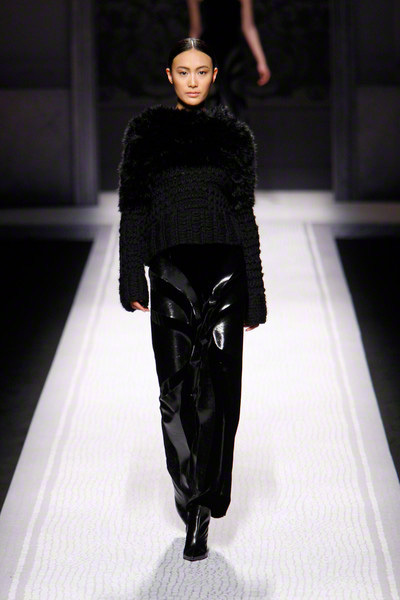 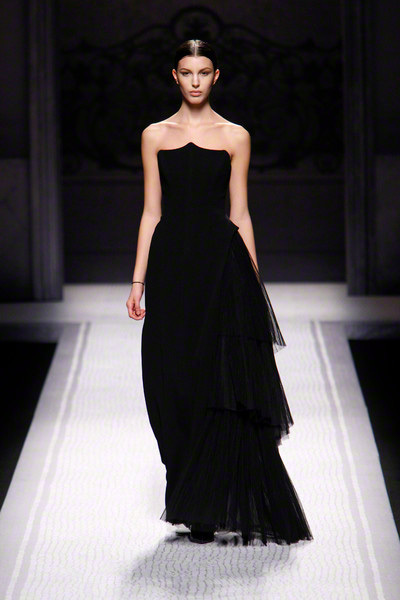 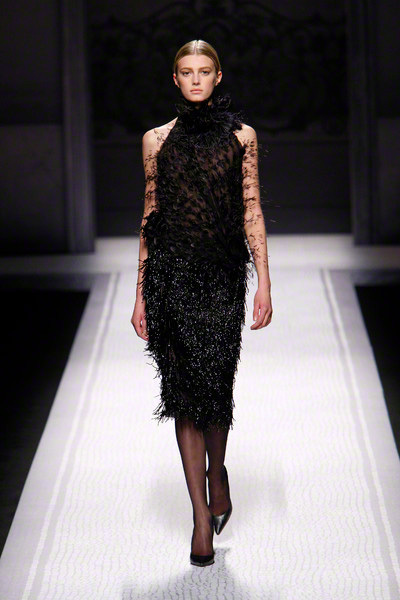 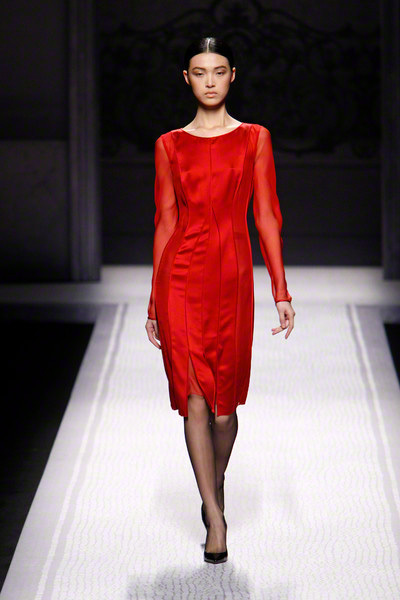 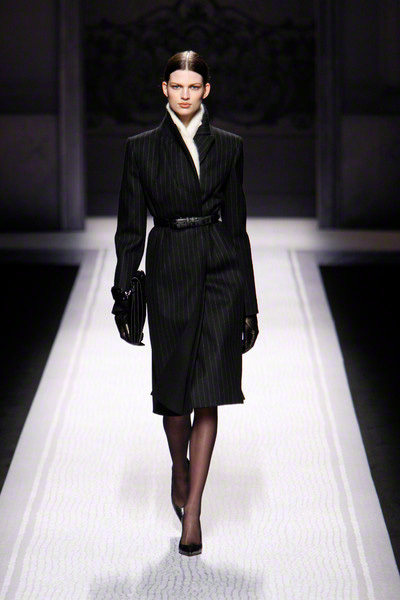 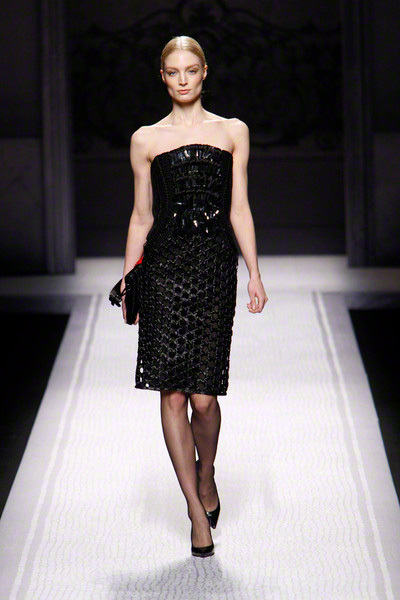 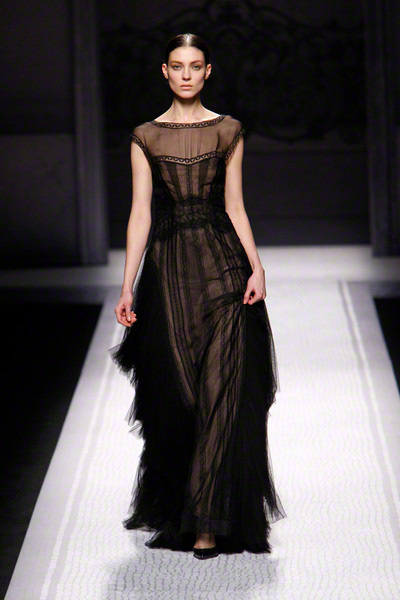 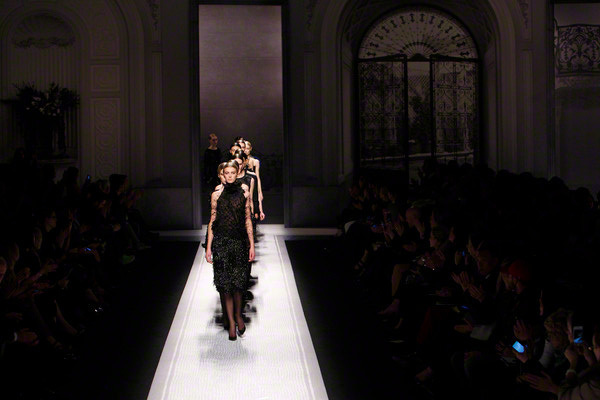 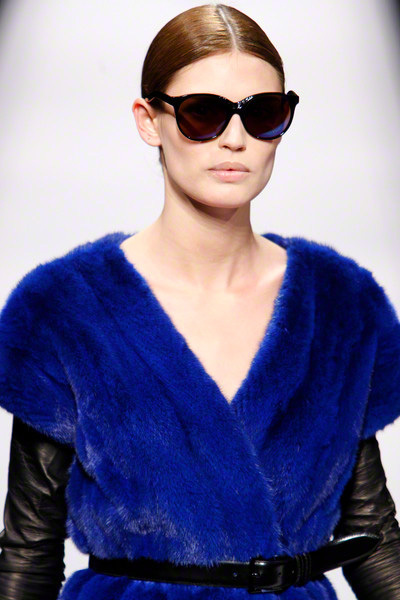 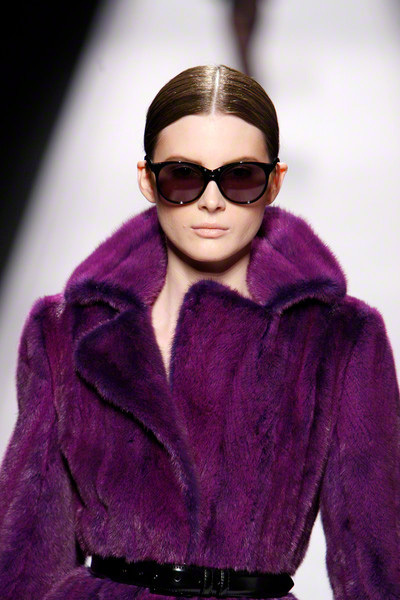 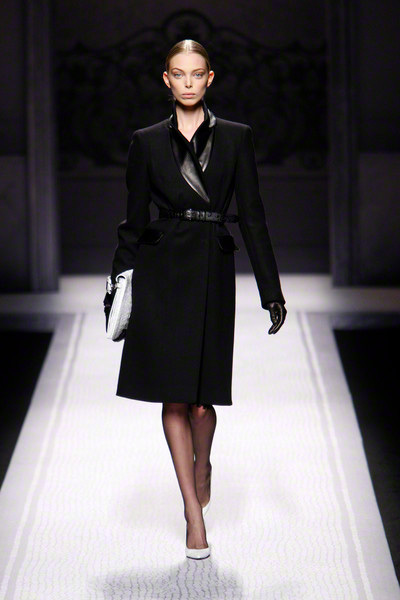 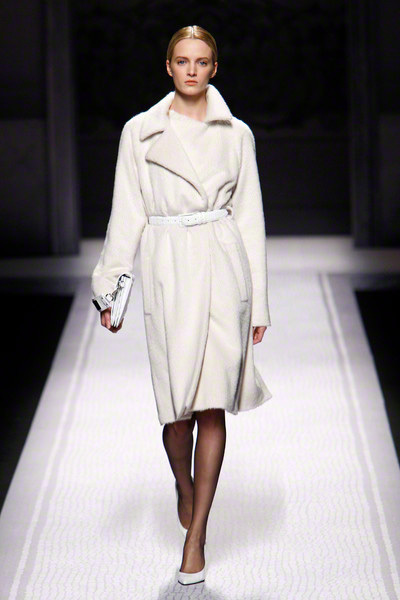 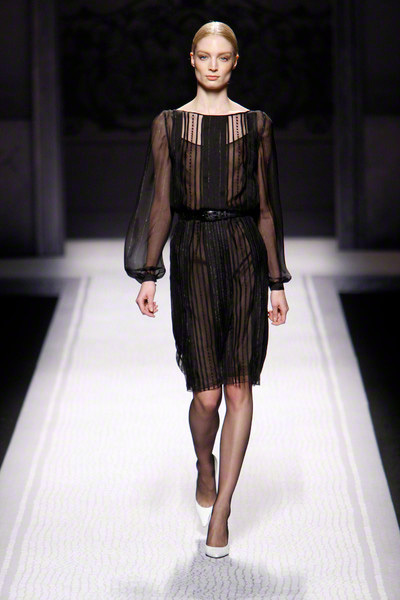 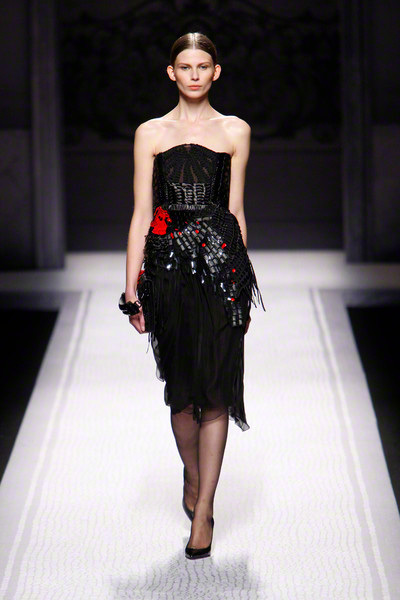 Alberta Ferretti surprised most of the audience with a dark collection, dark in color and atmosphere. 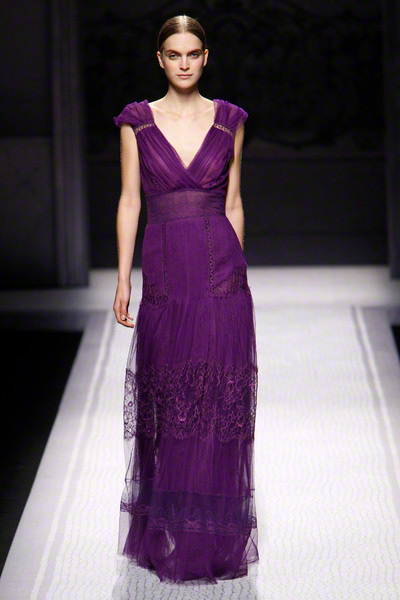 It was a relatively restricted, severe silhouette and moodier color-palette – but still pretty. 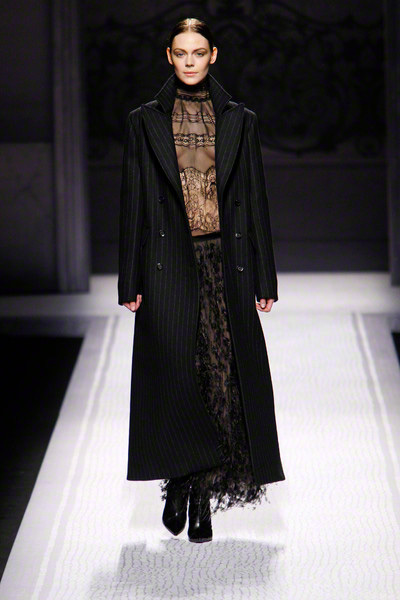 To fashion-reporters Alberta Ferretti explained she wanted a wardrobe for a strong, modern woman who has to keep up with today’s challenges. 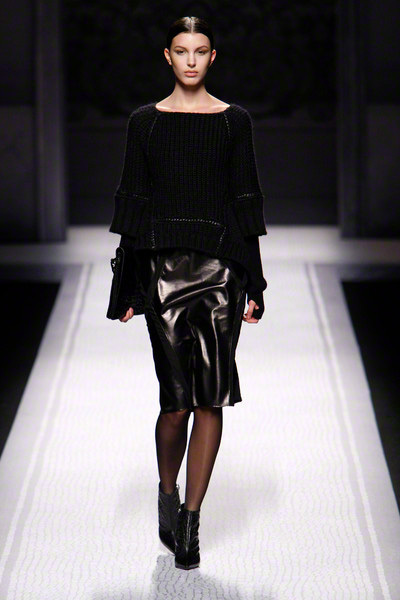 Well, all she needs is a sharp coat, a chunky knit and a multi–functional dress or skirt with chiffon top. 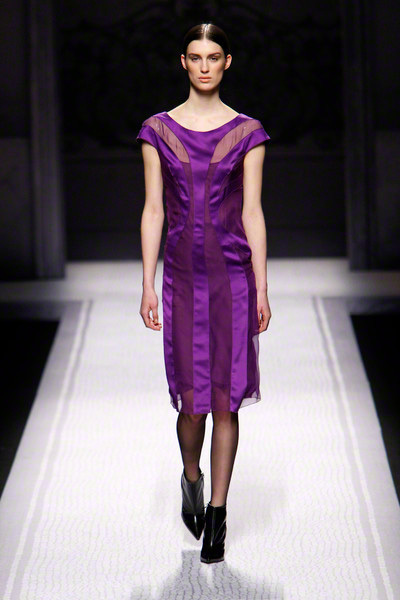 Black, purple and blue were the main colors with some hues of white, orange and gray. 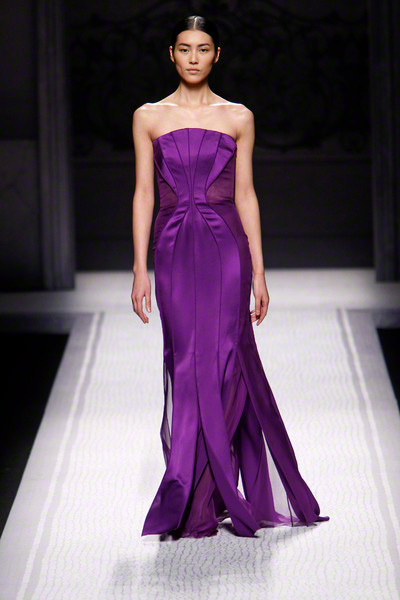 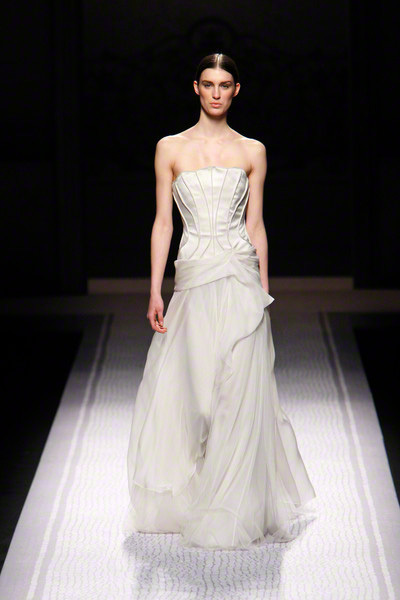 Evening-wear followed the line of the body in anatomical seams.